WHAT HAPPENED In the third-level allowance/optional claimer, Mesotherm broke a little bit slowly, moved up smoothly between horses to take the lead near the three-eighths pole, and drew away to win by three lengths in 1:08.87 for six furlongs. BACKGROUND Mesotherm, six years old, had last run in the Fabulous Strike a $200,000 stake at Penn National, on Thanksgiving eve. He broke a little slowly that night, too, dueled for the lead, and faded to seventh and last, eased late. But before then, he had impressed, winning three consecutive races, two in allowance company, with increasing ease and rising speed figures. RECORD Mesotherm now has five wins, a second, and a third from eight career starts. The win pushed his earnings past $140,000. BETTING INFO Mesotherm paid $4.20 as the even-money favorite in the field of four. The exacta, with 7-5 Mr. Brix in second, returned $3.80 for a buck. CONNECTIONS Mesotherm is trained by Lacey Gaudet for owner Matthew Schera. He was ridden to victory by regular pilot Alex Cintron. UP NEXT Perhaps the Grade 3 General George at Laurel on February 16. Or perhaps not. 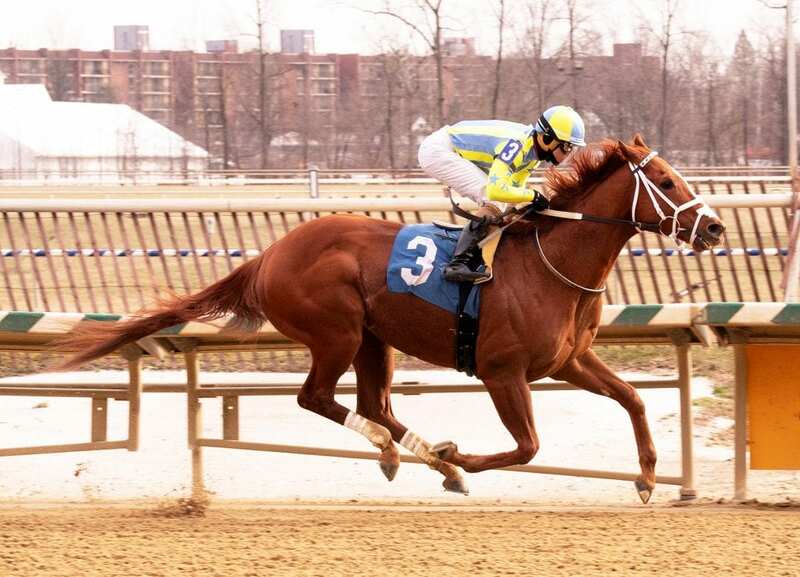 Mesotherm easily won a third-level allowance at Laurel Park. Photo by Jim McCue, Maryland Jockey Club. IN THE TRAINER’S WORDS [He was] just unprepared during the gate and just broke a little flat-footed. I wasn’t really worried about it. He’s always rated nicely, so we were going to rate him a little bit today, and the break didn’t hurt him too bad once he got his feet back under him,” winning trainer Lacey Gaudet said.